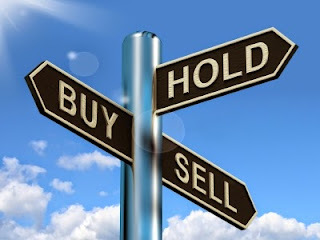 In my last post I listed some companies that were on my radar to purchase soon. Well, Thursday I did just that by adding to my recently initiated position in Union Pacific (UNP) (Full Analysis Here). I purchased 11 more shares of UNP for $97.04 per share. After commission my per share cost basis came to $97.49 per share. Based on the current quarterly dividend of $0.55 this lot will provide $24.20 in annual dividends and carry a YOC of 2.26%. My previous purchase of UNP was at the end of May and since then the share price has drifted lower. My original cost basis on this position was at $101.81 per and this addition was purchased for 4.24% lower. I typically target a 5% decline before I average down on my cost basis but I feel that Union Pacific is a great long term holding and I wanted to build up my position more while I have the opportunity. The investment thesis for UNP hasn't changed over the last month. It's just the share price that has drifted lower and if I liked the company at $101.20 per share I should like them even more at $97.04. A quick valuation of Union Pacific using the Gordon Growth Model with a $2.20 annual dividend, 10% discount rate, and $97.49 current price means that UNP would need to grow the dividend at 7.57% per year to earn a 10% annualized return. Since earnings are forecast to grow at 13.5% per year for the next 5 years, UNP shares appear undervalued here. The TTM P/E ratio is at 16.49 with a forward P/E ratio, based of FY 2016 estimates, of 14.13. I performed a full analysis of Union Pacific last month which can be found here. Also, on Friday of last week I used $10 of accumulated dividends in my Loyal3 portfolio to purchase 0.0871 shares of Disney for $114.81 per share. Based on the current semi-annual dividend of $0.66 this lot will provide $0.11 in forward annual dividends and carry a YOC of 1.15%. It's not much but every bit helps, right? My FI Portfolio's forward 12-month dividends increased to $5,967.83. Including the $56.92 from my Loyal3 portfolio brings my total taxable accounts forward dividends to $6,024.75. That's over $500 per month on average that I can expect to receive for doing nothing other than having the foresight to invest in excellent companies that pay and grow their dividends. Other companies that I'm looking at potentially adding to are Union Pacific again as well as T. Rowe Price, Phillip Morris, and potentially Chevron. I'd also like to add another financial company or two to my portfolio with insurance companies and a Canadian bank being in the mix as well. What companies have you been buying? 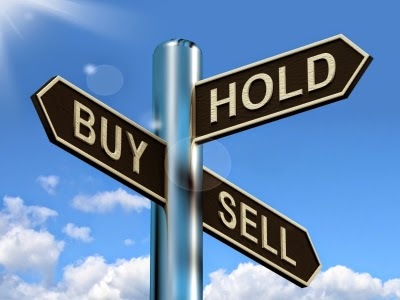 What companies are on your watch list for purchase? What do you think about the long term investment prospects of Union Pacific? How is that everyone is going ham on UNP, the numbers are all great but the yield is not really that fancy? I can't speak for everyone but for myself it's because the business is absolutely solid. I don't really foresee any disruptions to rail being the dominant mode of shipping large quantities of goods. The only viable one as far as efficiency is by ship but it's too difficult to get from say LA to NYC via water compared to rail. UNP's yield is low but they make up for it with huge scale and no real competitors. There's not anywhere near the right of way available if someone did want to try and steal their turf and the capital requirements of starting a new rail network are prohibitive as well. It's a long term play on a company and industry that should continue to do well. Plus for my own portfolio I'm at the stage now where adding a lower yielding company won't really swing my portfolio's yield. So I have the freedom to add some that might yield lower but make up for it with a solid long term growth potential. Awesome purchase PIP. Wow, UNP is down today again. :) Keep it up bud. Congrats on Forward Dividends of 6k!!! woohoo. Happy for you my friend. Cheers PIP. Yeah, wish I'd have waited another day or two. Oh well, there's still some ammo ready if need be. It feels pretty good to cross over the $6k mark. $500 a month average for doing nothing but collecting checks is awesome. Gratz on passing the 6k mark! Gogogogogogogo! It's awesome to think that less than 4 years ago I had only one income source but now I'm collecting $500 per month by doing nothing. DGI at work! It's always fun adding more shares of excellent companies. UNP is on my watch list to average down. I bought it when it was just over 100. Now, we have a nice dip for me to add to this company. For me, I agree with one of the commenters above on yield, but it has good growth metrics from the last 10 years. Yeah I'm contemplating adding more if the share price dips just a bit lower. If I had more capital available right now I'd add sooner but I have to be a bit pickier right now while I build up some reserves. Nice purchase buddy. We picked up Union Pacific shares about 4% above these levels. Looking to average down in the near term. Great job on the $6k in forward dividends! I'd love to see your $91 price target so I could add more as well. $6k is a great start on my way to FI. There's still a long ways to go but it's progress! Nice move averaging down here. UNP remains near the top of my list right now, which means I'm very likely to buy more here soon. I'm trying to focus a lot more on building out positions rather than adding new ones. I get in the habit of making one or two purchases of a company but then stopping there. Part of that was because a couple purchases would push the portfolio weight higher than I'd like but I was missing the forest for the trees. My portfolio was still adequately diversified and I have no plans of stopping investing anytime soon so it would work itself out in the long run. Nice addition! I initiated a position today after bouncing back and forth between oil companies. I might have one more oil purchase in store but no plans to add too much more. It's a bit too risky for me since my income is also tied to the industry. Always liked the RR's in Monopoly! Been reading about XOM and UNP buys a lot among the dividend bloggers. Guess this whole Greece thing has world markets on edge giving us better buying opportunities. It will be interesting to see how things shape up this summer. Seems like the whole financial world hangs in the balance. Thanks for sharing your recent UNP buy and for being able to average down on this solid long term dividend payer. No rails for me in my portfolio but that doesn't mean they don't look interesting. I hear you on the financial world kind of teetering. I could see things going both ways which means there's lot of uncertainties. I like the RR's because they have a huge moat and I don't really foresee any major external threats to the business model. It's just too efficient of a mode of shipping large amounts of heavy goods. Nice buy JC. As DivHut mentioned, UNP and XOM were popular buys today. We already bought shares in XOM, so I guess that means we should consider grabbing some shares in UNP. Great company! We've been watch UNP for a short while and have to say it is looking attractive at current levels. Those two companies were my last two purchases so clearly I'm on board. It feels pretty awesome to get past the $6k mark for annual dividends. $500 per month is a huge milestone and it's only going to help me to really get the snowball rolling with DGI. Nice buy JC. I'd love to add UNP at some point to compliment my CSX and NSC holdings. I love the railroads! $500/month is an awesome milestone, keep up the good work. That's funny because I've been thinking of adding CSX to complement my new UNP and old NSC positions. The railroads are great with huge moats. You can't really go and build a new rail network that could legitimately compete with the big players. Oligopolies are great! $500 per month is pretty cool. It's still a long ways from where I need to be but I've built that up in less than 4 years so I'm pretty happy about that. Looking forward to seeing what you've been up to and what you have in store now that you'll be back to blogging. Glad to read this posteriormente. 500$ per month is really awesome! It's been a long time coming and it feels good to cross this milestone. Now on the mark to $7k in annual dividends! Excellent purchase, seems that a lot of people are buying UNP lately. $500 per month dividend is a great milestone to accomplish. I like the railroads because the whole industry is set up as an oligopoly. There won't be any new competitors because there just isn't the right of way available and the capital outlay just to build out the network would be extremely prohibitive.